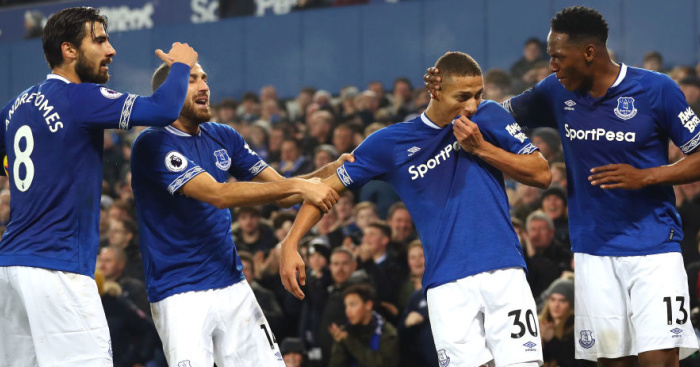 Everton have reportedly slapped an £80million price tag on Chelsea target Richarlison, who is also wanted by three other European heavyweights. 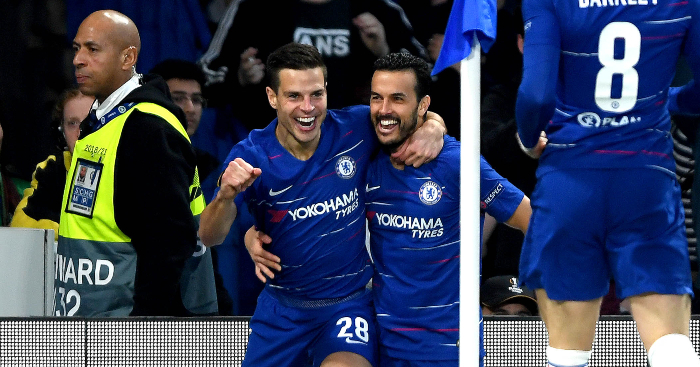 The Brazilian has recently emerged as a summer target for Maurizio Sarri’s men, but AC Milan, PSG and Atletico Madrid are also said to be watching the player closely. 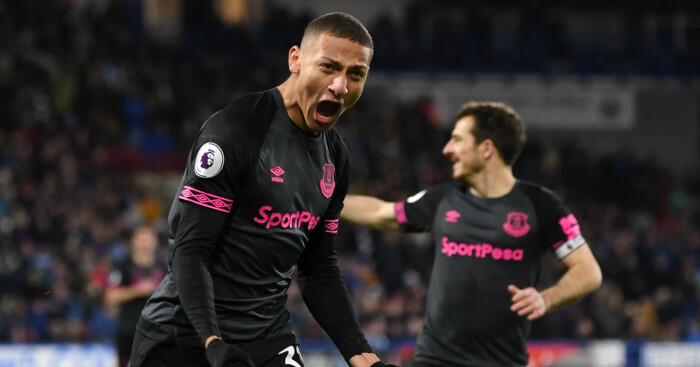 Maintaining that form has been a struggle for Richarlison, however, with the forward dropped for the midweek loss to Man City – although he did return against former club Watford on Saturday. 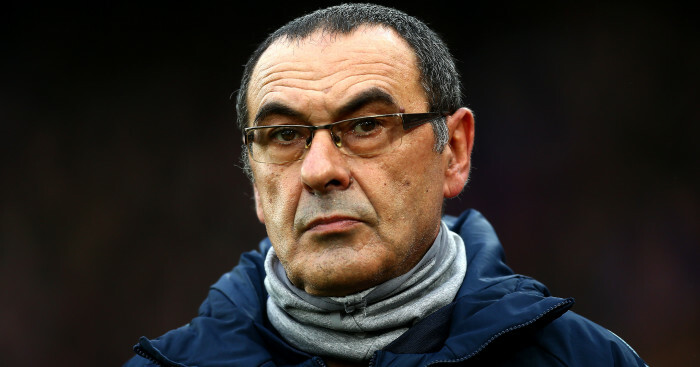 That drop off has not stopped speculation that the Toffees star could be on the move in the summer, although the Daily Star states that Everton want double the £40m they paid for him in 2018. 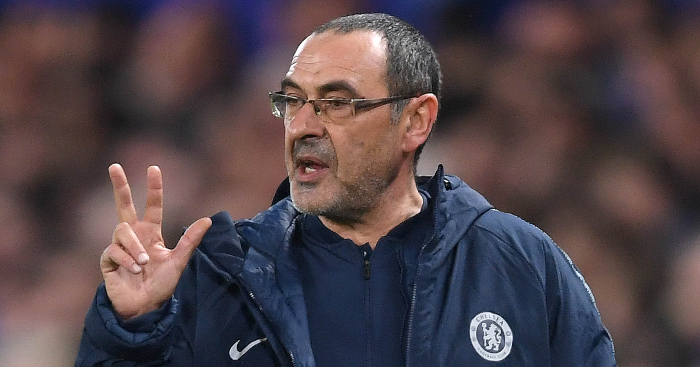 The report goes on to state that whether he wants to stay or go may also depend of Marco Silva’s future at Goodison Park. 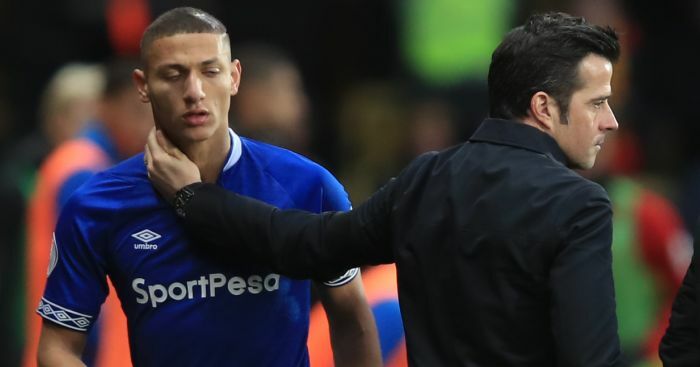 The Portuguese coach has had a big influence on Richarlison’s career to date, but is in severe danger of being sacked after a shocking run of results.